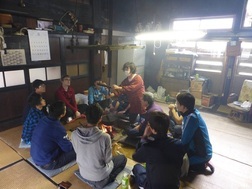 Here are some field reports from international students of the University of Aizu. I spent the third year of my Rose-Hulman undergraduate degree studying at the University of Aizu in Japan. Spending 10 months in Japan was very exciting and sometimes challenging. I am very happy to have come and looking back on my experience I know that it has allowed me to have a better understanding of Japan and of my home country. I came to Japan at the end of September of 2015, and I did not know what to expect. I knew a little Japanese through self-study, and I had seen a little of the University of Aizu in photos online, but that was the extent of my experience. Before I arrived I talked with a helpful American student at the university who told me what things to bring, and how to get from the airport to the school. When I arrived in Japan, I traveled quickly to Aizu and my dormitory, and settled in for the first night. 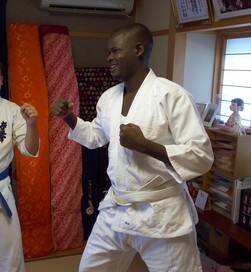 I remember the beginning of my study in Japan as a very exciting time. I was very excited to experience so many new things. It was fun to figure out how the air conditioner in my room worked, and to try all the new kinds of instant ramen available in the school store. I got to know many new people that would become close friends of mine, and it seemed like every day was a new adventure. It was at this time that I got to try many Japanese foods for the first time. Before I came to Aizu I had never eaten ramen, and it was something that I enjoyed a lot while I was in Japan. I had also never eaten very much sushi before, but I quickly acquired a taste for that as well. One of my favorite places to go in Aizu was the butcher's shop minakawa. This store served the best tantanmen that I ate while I was in Japan. While I was studying at the University of Aizu I had some spare time because of my status as international student. Many of my fondest memories from autumn in Japan were from different places in Aizu. The courtyard of Tsuruga was very colorful when the leaves were changing color, as were the gardens near the statue of Kannon. I remember spending long hours visiting the old samurai school, Nishinkan, when the weather had already become cold. I vividly remember a park by the school that I sat in for long hours during the fall, reading books and watching the leaves. During my time in Japan I was able to visit Nakagoya in Minamiaizu several times. I visited there with other students from the University of Aizu and did many different things. One time that we visited we did some farming work, and another time we visited we tried some traditional soup. My favorite time that we visited was during a festival. Nakagoya is a very small town with only a few houses, so it was very interesting to be able to visit it. In the winter Aizu became cold. This year the winter in Aizu did not have very much snow, but on a snowy days I visited Alts Bandai and went skiing with a professor from my school and some students. In Aizu, this professor at the university allowed me to Join his lab and I worked with him on a project while I was there. I enjoyed being a part of the lab, and his generosity. I liked talking to the other students, and I learned a lot while I was there. In the spring one of the first things that I did was travel. At the university of Aizu I met many Chinese students. During the semester break some of them returned to their homes in China, and so I traveled to China to visit some of them. When I came back I spent the rest of the break traveling with my parents and sister, as well as with my cousin in Japan. My mother especially liked visiting Aizu because of the sauce katsudon, and getting to visit Tsuruga castle. At the end of my break the sakura began to bloom. I greatly enjoyed getting to see them around the university, as well as at Tsuruga castle. During this time I had hanami with my lab, as well as with my friends. The cherry blossoms were very beautiful in Japan. I had hear stories and seen pictures, but they did not do justice to seeing them in person. 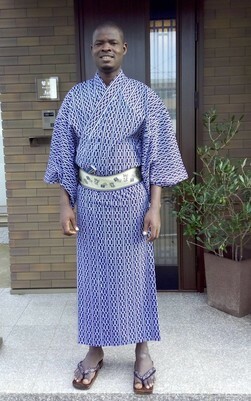 At the end of spring, and beginning of summer I began to work in Japan. I got a part time job with a company in Aizu, and did work related to my major. I enjoyed the opportunity and thought that it was an interesting experience working there. I enjoyed being in Japan a lot. I made a lot of friends that I will keep for a long time, and I felt like Aizu really became my home. I missed my friends and family back in America, but I will miss Aizu when I leave it as well. Part of life is moving on and experiencing new things, and so I will go forward, travel new places, and experience new things. But I will remember my time in Aizu and never forget it. My name is Mohammed Hassan, I am a Nigerian and a Ph.D. student in the cognitive science laboratory. I came to Japan in May 2015. Reading, traveling and attending Japanese cultural activities such as Festivals, ceremonies, and other events are my hobbies here in Japan. Living in Japan and interacting with the citizens of the country influenced my appetite towards Japanese foods. As a result, I am now an ardent lover of Sushi, Okonomiyaki, and various Japanese curries. 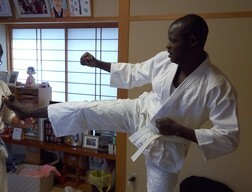 Moreover, playing Karate, and wearing Japanese traditional cloth are among many things that are added to my experiences in Japan.